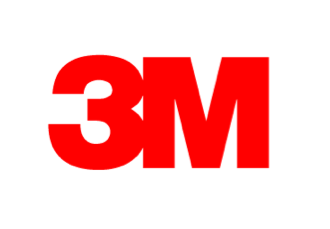 3M Company (NYSE:MMM) is a diversified conglomerate that has its hands in just about every facet of the economy. 3M operates in 5 business segments separated as: Industrial, Safety & Graphics, Health Care, Electronics & Energy, and Consumer. 3M's diversification is one of the things that makes it special. When some segments are lagging behind the others are there boosting sales and earnings. 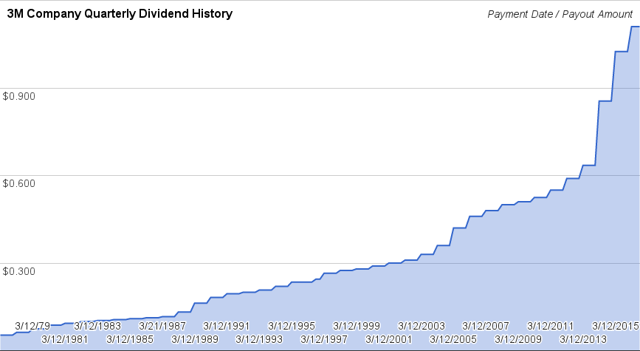 3M Company has also increased dividends for 58 consecutive years and paid an uninterrupted dividend for 100 years. That gives them the title of Dividend Champion. Just take a look at 3M's dividend history since 1977 to see just how special the company has been. **An interactive version of this chart can be found here. I first purchased shares of 3M in August 2014 and boosted my position by 60% nearly a year later. I've received over 5% of my investment capital back via dividends, received 29.8% organic dividend growth and generated an internal rate of return approaching 15%. To say I've been pleased with the results would be an understatement. Such an exceptionally helpful article. Extremely intriguing to peruse this article.I might want to thank you for the endeavors you had made for composing this great article.The OOH media advertising is an exquisite media official programming stand to help open air media sponsors to modernize and scale crusades through a single, coordinated stage. It empowers you to viewpoint and manage 100 percent of your stock by method for a specific intersection point.